Love the design! What are the ceiling heights to box beams and above? Diggman, the coffers are sheetrock with high gloss painted wood crown moulding. Where can I find the hanging lights? where did the lights come from???? What are the dimensions of this space? Very pretty! Yes, Love the rug, Would like to know where it is from also. Are you sure it's smoke??? I love this island color! 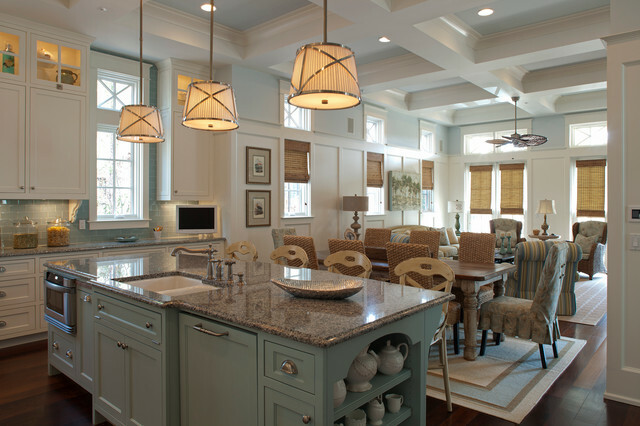 What is the color in the coffered ceiling? Same on upper walls? Yes, please tell us what the colour of the island is. I love it. We are making our kitchen now, and I would like to paint the island a different colour from the wood cabinets. I think your choice of colour is perfect! What color is the granite? Still waiting to hear about the rugs also. Where did the cabinet doors come from? Love the custom color! Cabinets are completely custom by Eric Williams in Albany, Georgia. My mistake. They are lovely. Love the ceiling. Beautiful design. I have a question. Are coffers more modern than tray ceilings for living area? Island cabinet color is stunning - what is the color please??? Island cabinet color - Can you please share the island cabinet color? I love how it coordinates with the backsplash. Looks more like Smoke 2122-40 to me when I looked it up. What is the name of the granite used? I'm pretty sure it's a tropical brown. 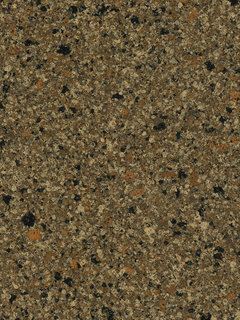 Granite changes color as you get to different parts of the quarry, so one Tropical Brown may not look exactly like the other. 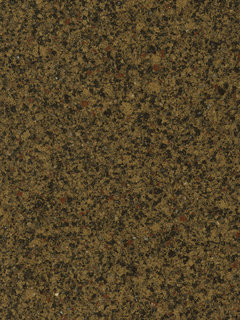 The granite looks like New Caledonia - which is mainly grey and black with taupe-ish accents. WhAt color did you use for the cabinets in the middle!? - Can you tell me what color did you use for the cabinets in the middle? What color was used on the white cabinets. Their are so many whites to choose. These are beautiful! 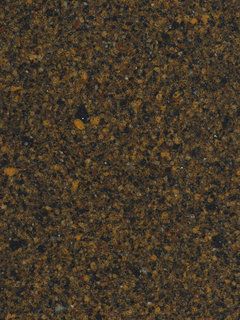 That looks like a Tropical Brown Granite. 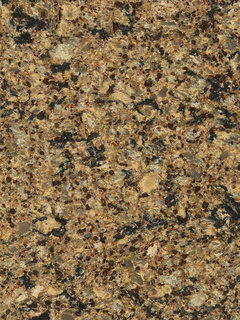 Can you tell me what the granite is called? Where is the Kitchen table from please? Where would you be able to purchase a kitchen table like that in Toronto Canada? The wall color is tagged with a green tag. I believe it is Ben Moore Iceberg. Where - Where did you get the rug? Room Dimensions - What are the dimensions this space? I have a great room and I love this layout, but I'm not sure if my space is big enough. Thanks so much! What is the color and type of backsplash? Lovely kitchen! Yes. Thanks for all the information. Please answer the last question...what color and type is the backsplash. Love this entire room! Dining table - This is such a beautiful kitchen with so many stand out features. The dining table and chairs are truly amazing. Where can I find this table to buy or look at? What is the approx price range? Thanks much in advance! How long and deep is this entire space . 16'x46', with 12' ceilings and 12" deep coffers. Where is the table from? - Where is the Dining Table from? I love these rooms! Where do the rugs come from? - such a lovely entertaining area! where do the rugs come from? Rugs were purchased from Design on the Gulf in Seagrove Beach, FL. What are the names of the two rugs and where can they be purchased? - What are the names of the two rugs and where can they be purchased? Sally - Who makes the seagrass chairs??? I suggest you show this image to your local blind shop and get their input on materials and installation. What are the dimensions of the kitchen and the bar. This is the layout I have chosen for my kitchen. Love it! The entire space is 16'x46'. Kitchen space is 48" for walking with a 48" deep island. What is the "Edge" on the Island Granite called? That is an Ogee edge. where are the barstools from? Who makes the seagrass side chairs? Question - What color is the island cabinets? Dining table chairs - Where were the dining room chairs purchased? Love the faucets. Who makes them and what color are they? Microwave drawer - Is that a microwave drawer under the island? Any info on these? Can you share the window dimensions? - Beautiful space! Can you share the dimensions of the windows and the transoms above? Also, I would love to know the spacing of your board and batten including the size of the batten. Thank you so much! Most relaxed and soothing space I've ever seen. Kudo's! 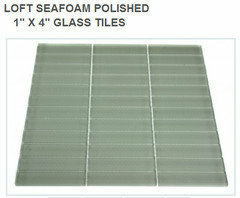 - What is the color of the tile and where can I purchase it? Its the perfect color and sparkle! Comment - Beautiful space but needs some type of separation as is looks a bit like a furniture store. Space between table and island - Beautiful space! Could you please tell me the distance between the dining table and the island? Thanks! What is the color on the walls in family room? Lovely! - This is a lovely space, and you have done a fabulous job of providing incredible detail in response to all these questions! Thanks so much for taking the time. It's very helpful for me to read all these responses from you. What is the ceiling height? - Thanks! What is the flooring name and color? Where did you get the knobs and pulls? Here is one with the island is a light seafoam green color. I think I would still rather have a dark natural stained wood for the island.